X-Men: Days of Future Past will have a special "Rogue Cut" edition available next year, featuring never-before-seen footage of Rogue's subplot in the movie. 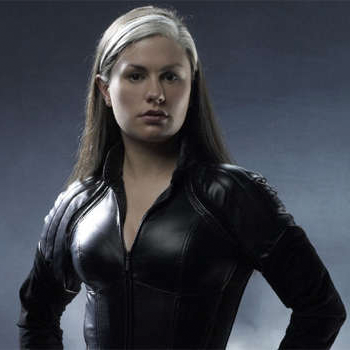 X-Men: Days of Future Past featured many mutants we've all come to know from the previous films in the franchise, but one person that didn't make an appearance was Rogue, a character played by actress Anna Paquin. That's going to change next year with the "Rogue Cut," an extended version being released of the X-Men: Days of Future Past film. Simon Kinberg, the movie's writer and producer, confirmed that this special edition will be released in 2015. The extended version will have ten minutes worth of extra footage, to which Kinberg states, "It's a big chunk, a substantial part of the movie. We want to give (fans) the fullest picture of the film - behind the camera, and in front of it." Rogue won't be the only X-Men character not seen in the original cut making an appearance. It's been confirmed Rogue was meant to play a bigger role in the film, until everyone involved found that her subplot played more into fanservice than adding to the narrative. In Kinberg's words, "It felt like it didn't come from the spine of the film, it was an appendage where I just wanted to see the old guys get in the X-Jet for one last ride." Next year we'll have a chance to see what this subplot actually looks like. Kinberg confides that this is toughest script he's had to work on, "I pray to God I never work on another time travel movie."